To maintain your health, increase your longevity, and minimize your risk of developing many illnesses, you must boost your immune system. 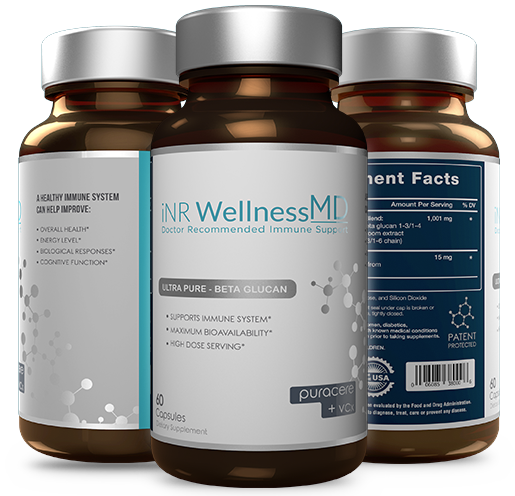 iNR Wellness MD’s patented immune support formulation, containing the world’s purest Yeast Beta 1-3/1-6-D-Glucan, has been proven to modulate and support the human immune system in hundreds of clinical studies. 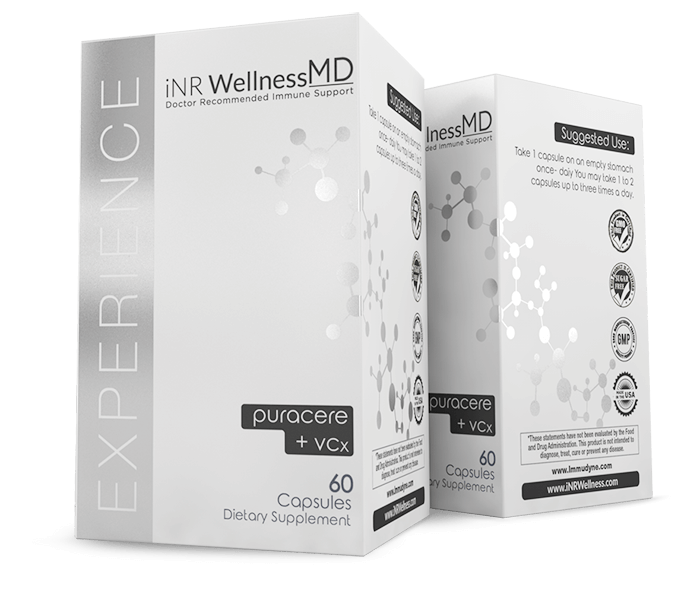 To support a healthy immune system, we recommend twice daily use of iNR Wellness MD. Your immune system plays a significant role in helping your body fend off not only the common cold and respiratory infections, but also more serious conditions. When it comes to naturally boosting the immune system by optimizing its response to diseases and infections, beta glucans are unparalleled. But because the human body doesn’t produce beta glucans naturally, the only way to get the compound is through outside sources. The Yeast Beta 1,3/1,6-D-Glucan contained in iNR Wellness MD is the purest and most potent Beta Glucan available on the market. "Beta Glucans 1-3. 1-6 trigger an enhanced immune response enabling the body's defense system to attack and overwhelm pathogens"
Scientists from organizations such as Baylor College of Medicine, Harvard Medical School, Brazilian State University of Campinas, University of Naples, and even the Institute for Problems of Nuclear Power Plant Safety at Chernobyl, Ukraine, have studied the Beta-Glucan group of polysaccharides. There are over 14,000 scientific papers about recorded studies of Beta-Glucans listed on PubMed, the official website of the US National Library of Medicine." 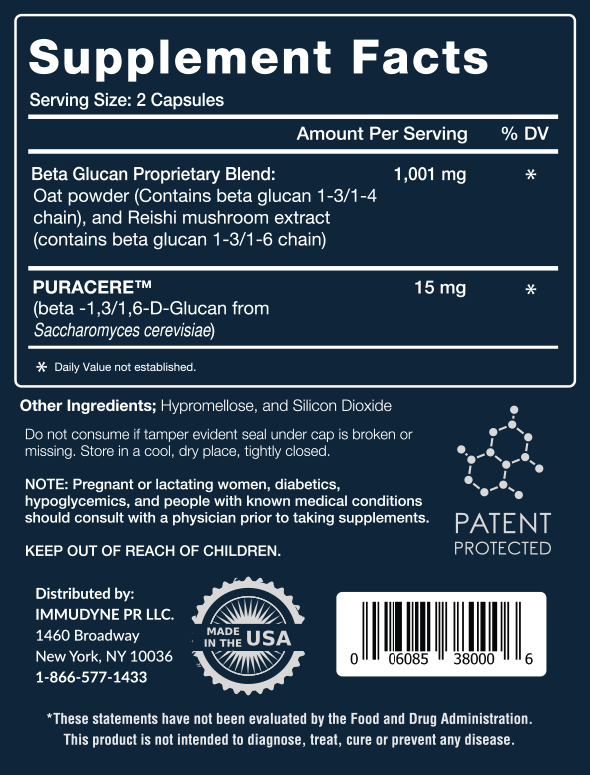 Orally administered, Beta 1,3/1,6-D-glucan derived from the cell wall of yeast is the only type of glucan that has been widely proven to be a potent immune-activator. However, high milligram dosages and high percentages of beta glucan in a capsule are not true determinants of immune response or product effectiveness. The true determinants of immune response activation and effectiveness are beta glucan source, processing, size and uniformity of beta glucan particles ingested. 1-2 capsules per day of iNR Wellness MD delivers the optimal dose of the purest and most effective Yeast Beta Glucan that can be obtained. Our process for all products begins with a comprehensive evaluation of all available scientific literature before culminating in a product available for purchase. In between, there are many important steps. The steps below help us discover and commercialize new products. They don’t all necessarily happen in this order. When a promising molecule or compound is identified, we do an extensive review of existing literature to better understand its characteristics and potential impact on human health. Only the candidates with the potential to address the largest issues in health are selected for further development. Review Literature Once we identify a promising molecule we do an extensive review of existing literature to better understand its characteristics and potential impact on human health. We select for development only those that have the potential to solve the biggest issues in health. Preclinical Development Using a variety of preclinical models, we validate and expand upon existing literature to better guide the molecule’s development into a commercialized product. Safety Testing Typically characterized as a “Phase 1” clinical trial, this stage determines the safety and pharmacokinetics of the compound in healthy individuals. Efficacy Testing Typically characterized as a “Phase 2” clinical trial, this human study looks at the safety and efficacy of a given molecule. Immune Support is a core function of the body. Exposure to everyday stresses and toxic elements damages cells. Our customer care team can answer your questions and help you place an order Monday through Friday, 9am - 5pm EST. We would love to hear from you and will get back to your questions or feedback as soon as possible.